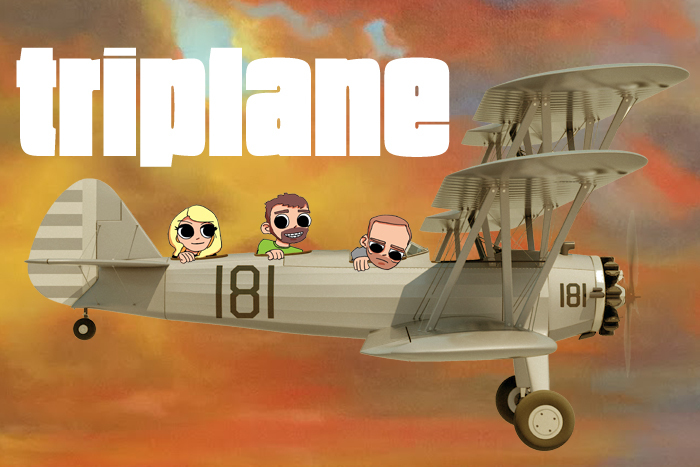 Mac Blake » New Show: Triplane! Kath Barbadoro, Joe Hafkey and myself are starting up a new, free weekly show Thursday nights at Companion, an arts / performance space next to The Wright Bros. Brew & Brew on 5th street, just East of I-35. It’s a great venue and we’re excited to see what we can grow there. We’re going to do two shows this month, shut it down for the Holidays and then start up again January 7th with a show every week (barring the occasional interruption). One of us we’ll host each week, and the other two will also do be there, doing warm-up or performing short sets. The line-ups will be small and good. We’re not going to book a show we wouldn’t want to watch. We’ll start at 8, and hopefully wrap up before 9:30pm. Like us on Facebook for show line-ups and updates. See ya out there!